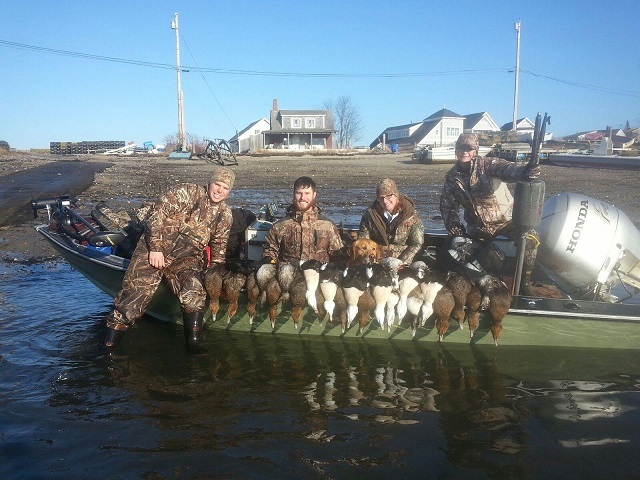 Maine is host to some of the finest sea duck hunting on the east coast. The many miles of rocky shore-line creates prime habitat for both resident and migrating birds such as eider, scoter and old squaw. Our goal is to create a unique and unforgettable water-fowling experience for all levels of hunters. We do this by utilizing proper decoying techniques that deliver an in-your-lap experience. We run only the best gear from our Lund boats to our decoys. 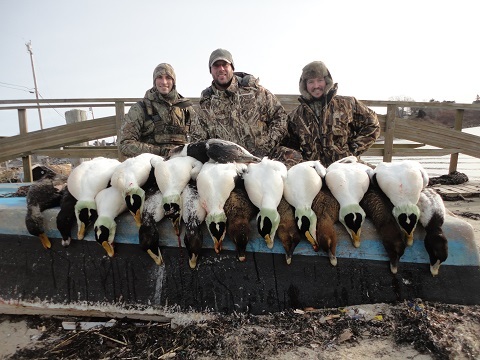 The excitement you will feel taking these beautiful birds on Maine’s rugged coastline will leave lasting memories; it’s an achievement that any waterfowl enthusiast can appreciate. On your hunt you will eat Maine seafood and stay in the highest quality Inn or hotel available. Lodging locations depend on our top scouted hunting areas. You will arrive at your hotel and eat dinner with your guide/s. The morning of your hunt will start with breakfast and then you are transported to the hunting location. Our goal is to provide an experience of a lifetime while enjoying one of Maine’s many outdoor traditions. Custom sea duck floating, spinning wing decoy poles, topped with Windduk spinning wing decoys. 3 days fully guided Hunt with 3 nights lodging and breakfast (Oct. - Jan.) $1995 for single hunter w/private room.